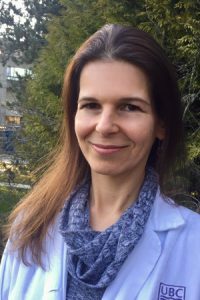 The Faculty of Dentistry at the University of British Columbia (UBC) is pleased to announce the recruitment of a new faculty member, Dr. Riki Gottlieb, who will serve as the Associate Dean of Admissions and Student Affairs. Riki Gottlieb, DMD, MS, FAGD, has many years of experience as a full-time dental faculty member and a practising general dentist. She has been an active clinical faculty member at the Hebrew University-Hadassah Faculty of Dental Medicine, the University of Pennsylvania School of Dental Medicine, and at Virginia Commonwealth University (VCU) School of Dentistry, before joining UBC in early December 2018. Her teaching focused on restorative dentistry, and she was involved in the development and implementation of innovative teaching methods. During her time at VCU, Gottlieb held the position of Director of Admissions, and then became the Assistant Dean for Admissions. She is an international expert in the use and curricular implementation of advanced dental simulation. She served as the inaugural Director of the Advanced Simulation Laboratory at VCU from 2005 to 2018. In 2009 she became the inaugural Director of the International Dentist Program at VCU which allowed her to develop a comprehensive understanding of how to recruit and support a diverse student body. Gottlieb obtained her BMedSc, and DMD degrees from the Hebrew University-Hadassah Faculty of Dental Medicine in Jerusalem, Israel, and went on to complete a MSc in Clinical and Translational Sciences and a certificate in Advanced Education in General Dentistry (AEGD) from Virginia Commonwealth University. She is a Fellow of the Academy of General Dentistry and the International College of Dentists. The Associate Dean for Admissions and Student Affairs is a key member of the Faculty of Dentistry’s leadership team and has oversight of all student-related activities and programs. In this role, Gottlieb oversees and directs admissions and student services activities and operations, including recruitment, admission, retention, and support of highly qualified and diverse students in the undergraduate and graduate programs.